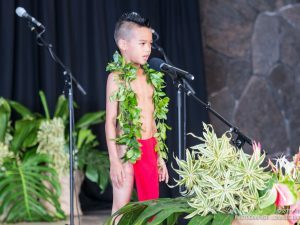 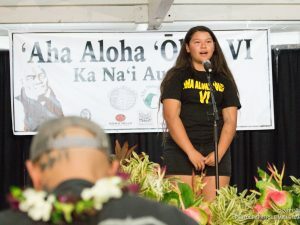 Eia nā haumāna o ka papa 9 a i ka 12 mai nā ʻano kula ʻŌlelo Hawaiʻi like ʻole a me nā moho mai ka lehulehu ākea e hoʻokūkū ana ma ka haʻiʻōlelo. 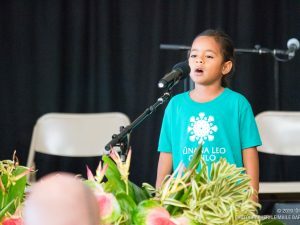 Ua koho mua ʻia nā manaʻo hoʻokele haʻiʻōlelo i pili i ke aliʻi naʻi aupuni ʻo Kamehameha. 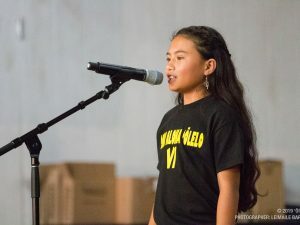 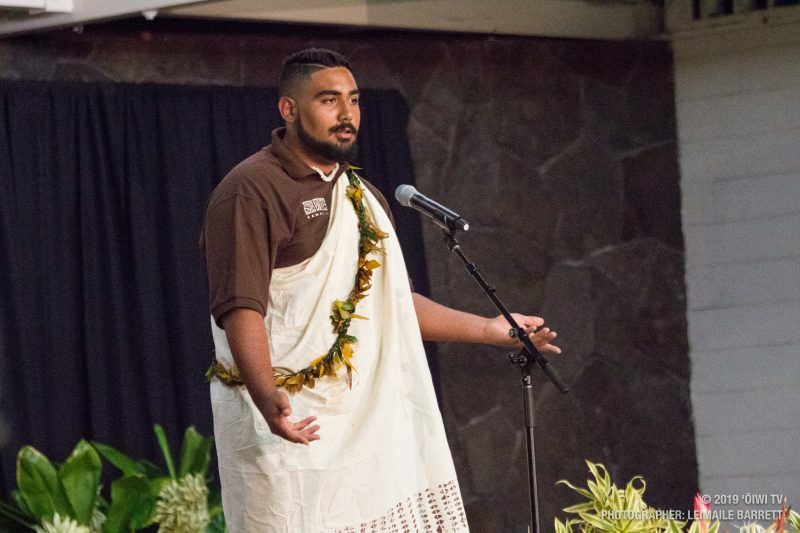 Students in grades 9-12 from various Hawaiian Language schools as well as individuals from the community participated in an extemporaneous speech competition with the main topic being King Kamehameha.